1. Are Truck Boxes Universal? 2. How Are Truck Tool Boxes Mounted? 3. Do Black Truck Tool Boxes Fade? 4. Do I Need A Truck Toolbox? 5. How Can You Paint Your Truck Toolbox? Once you get the best truck bed tool boxes, as the owner of your truck, you will be able to eliminate the woes of vulnerability from weather and theft. It is going to provide you with a more organized storage space for gear which will be locked securely. You will have various truck bed tool boxes to choose from depending on the design of your pickup model and specific purpose. The mounting style, as well as the size of a box, helps determine how much open space will remain in your truck bed. Bestop 42640-01 Underseat Lock Box for 2007-2018 Wrangler JK Driver Side will ensure that all your valuables are kept out of sight and securely locked in your jeep. 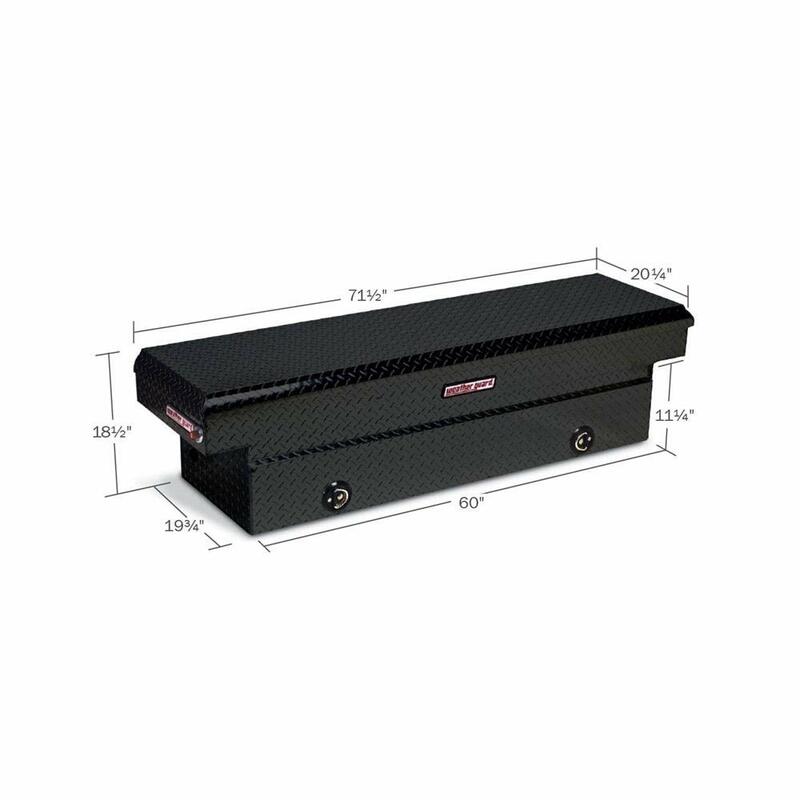 It is a truck tool box that is made of heavy-duty carbon steel 16 gauge with a black powder coat textured finish. During installation, there will be no need for drilling as all you need is to use OEM seat riser of the seat of the driver to mount the bolts . Dee Zee DZ8537B 37 inches Red Label Utility Chest might be the best toolbox for Chevrolet Colorado. Its black tread powder coat protects and prevents oxidation while it provides a gloss black finish. It is constructed of heavy-duty bright tread aluminum making it more durable. It comes with a crown style lid with a full pan double V stiffener that provides a strong rigidity. Other features on it include dampened gas shocks, stainless steel paddle handles, closed cell foam gasket, and strikers that are self-adjusting. It comes with a removable plastic tray tool that might come in handy when you are trying to organize small items. 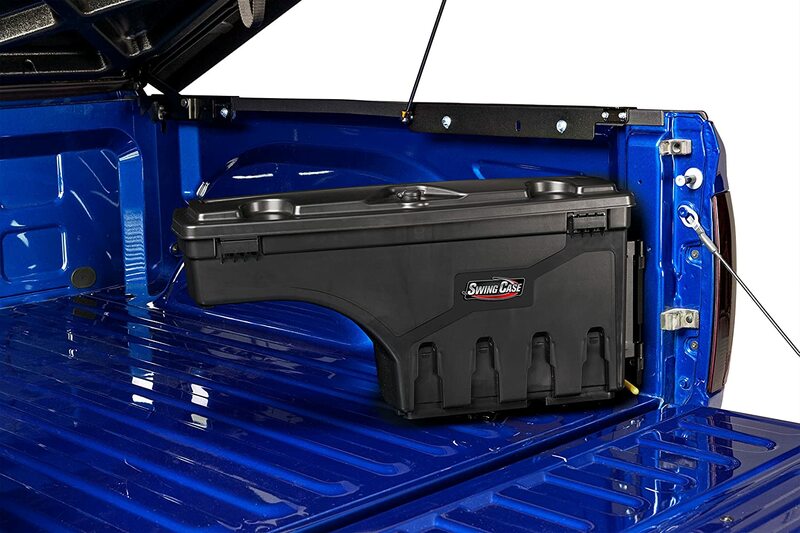 Undercover Swingcase Truck Storage Box SC100D could be the best toolbox for Chevy Silverado and GMC Sierra 1500-3500. It is a strong large box that will be able to hold a lot of stuff inside and thus, you will rest assured that, all you need is going to fit in properly. It is watertight and therefore, even if you don’t latch, you are assured that whatever you have stored in is safe. Though it has cheap plastic, having used it, I can confidently let you know that it is light and strong at the same time. When installing it, you will find it very easy and at the same time, uninstalling is an easy thing too. The secure versatile lock will enable you to twist lock and open the lock, with or without the key. It is compatible with all types of truck covers and thus no need to worry about compatibility issues. 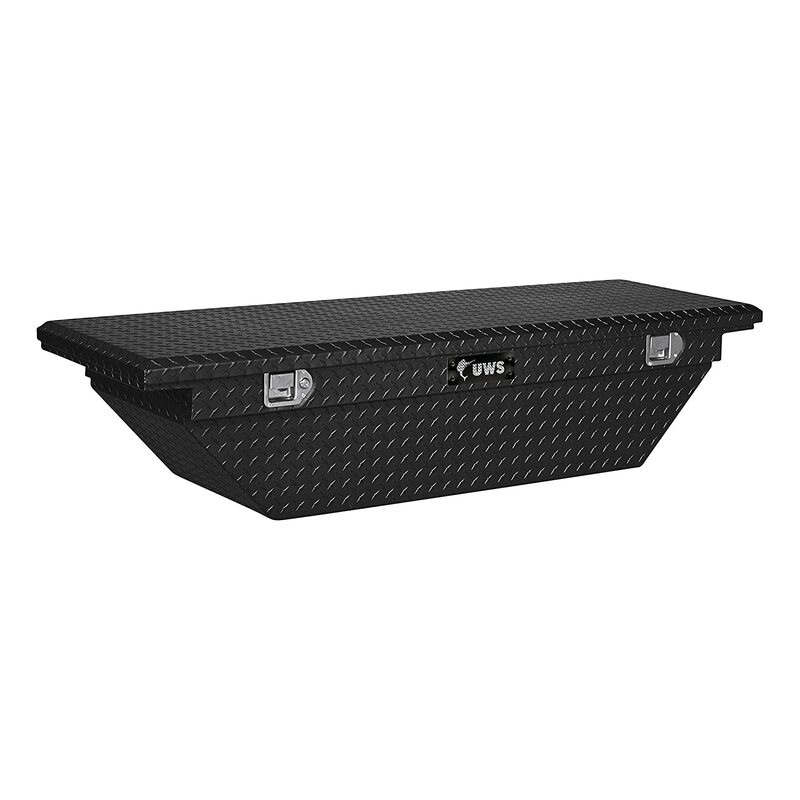 UWS EC10302 63 inch angled crossover truck tool box with low profile might just be the best toolbox for Toyota Tacoma and Tundra. It features patented lid design and enhanced aluminum construction. Its lid is filled with a rigid foam which is responsible for strengthening it against warping or bending and it has a self-opening mechanism which is there specifically for convenient operation. It is also built with one piece aluminum, that is extra thick, to be strong and highly resistant to corrosion. It has a low profile lid with paddles made of stainless steel and it is proudly made in the USA. 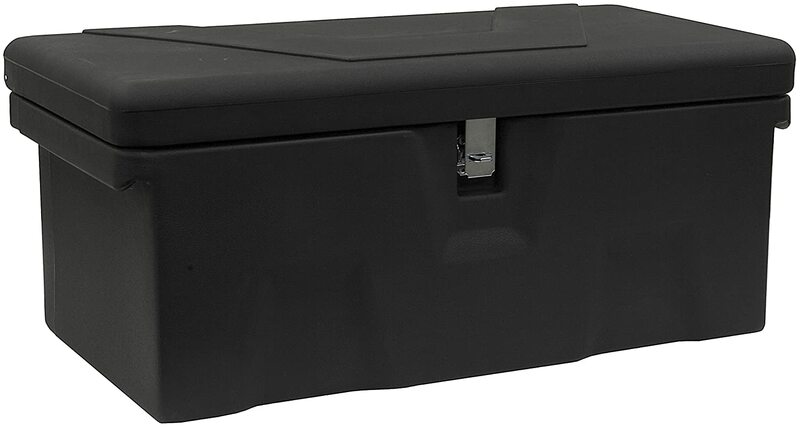 Undercover SwingCase truck storage box SC500D fits 2004-2015 Titan might be the best toolbox for Nissan Frontier and Titan. It is designed to make use of the dead space in your truck bed, creating storage for your towing gears or tools. It is made of ABS poly materials which are both durable and lightweight. It comes with a locking lid and a moisture resistance so that your cargo is kept dry and safe. There is a sliding tray to have a place to keep your small items in your toolbox. It features a hinged amount which easily mounts to your truck bed’s rail. There is a self-catching latch which keeps the toolbox from swinging open unexpectedly. It works great with most Tonneau covers and thus no need to worry about compatibility issues. Products black poly all-purpose chest might be the best toolbox for Ford Ranger from Buyers. 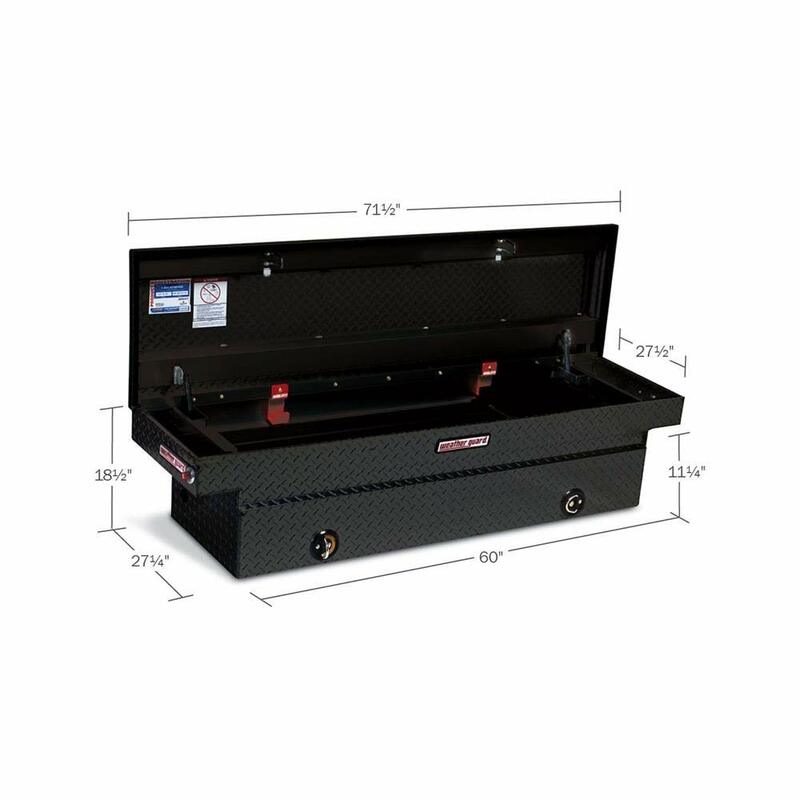 It is a low profile chest storage toolbox that mounts to floors of 6.5 foot or 8-foot trailers or pickup beds and can also be used in workshops or garages. It features waterproof, durable construction of molded high-density polyethylene with a full-width stainless steel hinge and a built-in carrying handles to ensure security and protection of your valuable cargo. The top opening lid is double paneled with stainless steel or zinc hasps that are overlapping to seal extreme weathers. It is heavy duty, though lightweight and impact resistant. 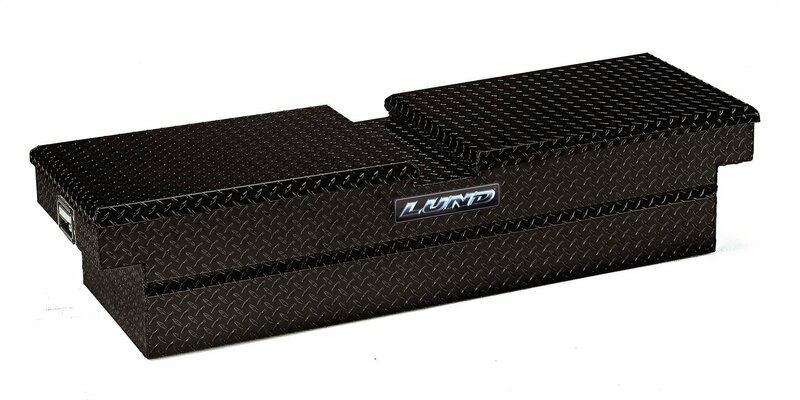 127502 weather guard saddlebox made from black aluminum might be the best toolbox for Ford F150/250/350. It is easy to install, has legendary durability and maximum bed clearance. I have one and I don’t seem to have enough of it. Since I bought it 2 years ago, I have no regrets because it seems to provide me with everything I need from a toolbox. The entire family is able to use it because it fits all full-size pickups with 8-foot beds. All our trucks seem to fall under these measurements and thus, we can use it in turns depending on who wants to use it. It has full weather seals to protect against the elements. If you are looking for the best toolbox for Dodge Ram 1500/2500/3500, then weather guard 121001 aluminum low profile toolbox could just do the job. My friend John owns a Dodge Ram 2500 and he bought it and he is all praises. It has keyed body material which is the aluminum gauge. The latch has a nonadjustable mechanism. When it comes to installation, it is easy as there is no drilling required and thus, you will be able to do it in the shortest time possible. 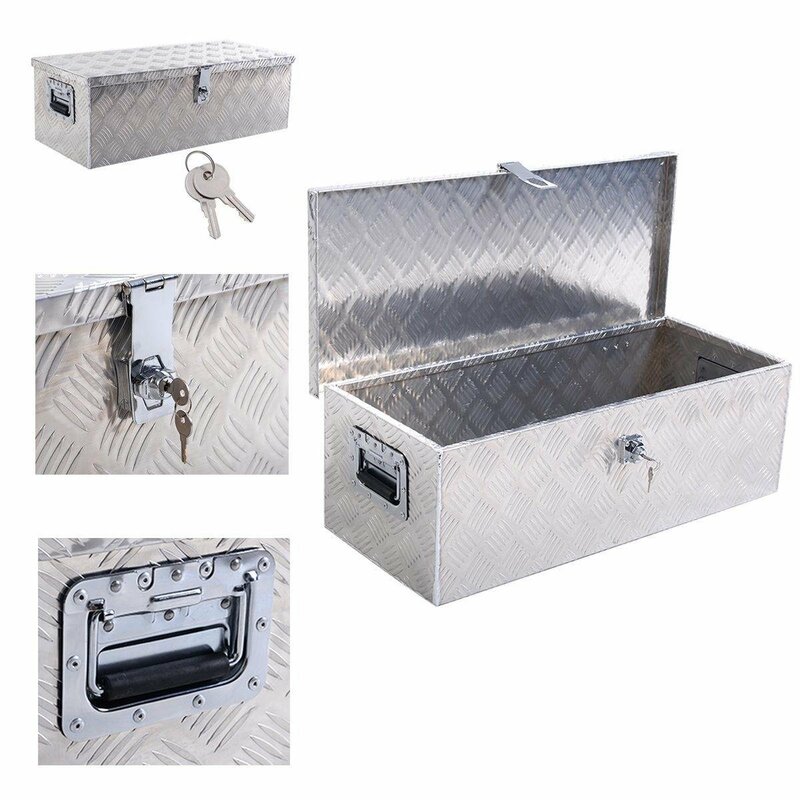 Arksen 30 inches aluminum toolboxes underbody tote pickup storage tool box lock with keys is likely one of the best truck tool boxes under 100. For $69.97, you will be able to buy this particular toolbox. It is made of high-density aluminum making it increase in value and worth. Its spacious design contains maximum space for maximum storage. Its shape is dent proof and will be able to protect your small parts and tools to a great extent. It does protect your materials without having to damage their structure and shape. 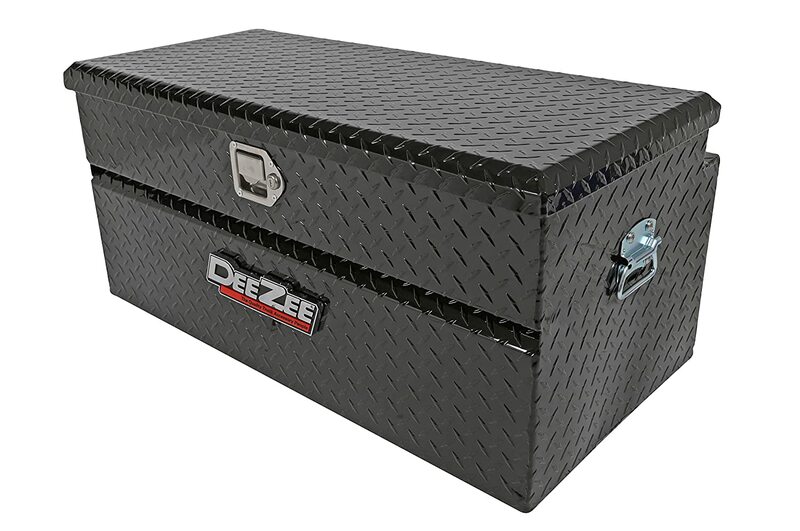 Dee Zee DZ8537B 37 inch red label utility chest is a toolbox I own and I bought it for under 300. After using it for some time, I tend to think that, it might be one of the best toolboxes under 300. Going for $260.21 on Amazon, it is constructed of heavy-duty bright tread aluminum with a black tread powder coat that provides it with a gloss black finish while it prevents and protects oxidation. Other features include dampened gas shocks, lockable stainless steel paddle handles, self-adjusting strikers, and closed cell foam gasket. 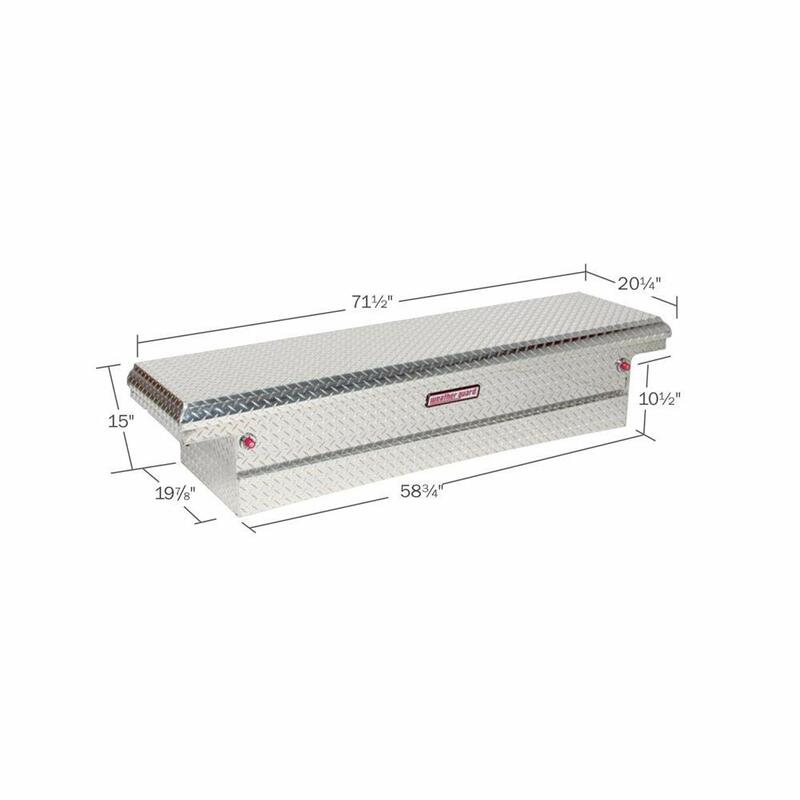 Lund 7111052 Economy line aluminum gull wig cross bed truck toolbox which is diamond plated and black in color, costs less than $500 and might be one of the best truck toolboxes under $500. It comes with a diamond tread black finish and it is made of sturdy aluminum material. The finish is applied electrostatically and thus withstands beatings and protects against rust and water. The strips are made of ethafoam protects against scratching and abrasions. It comes with a limited lifetime warranty which protects it against defects in workmanship and materials. 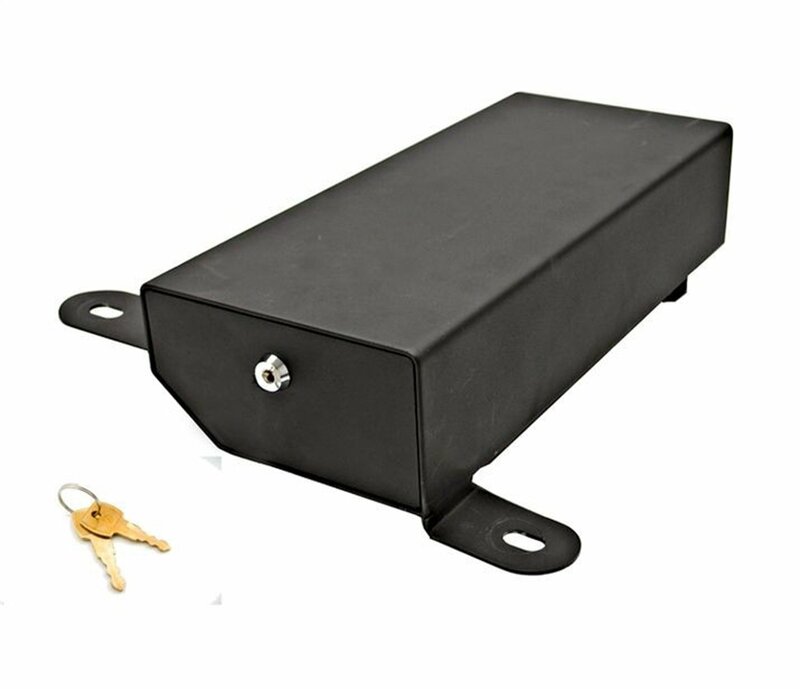 Weather guard 117502 saddlebox made from black aluminum might be the best truck tool box under 1000. It has non-adjustable body material, drill-free clamping brackets lid hinge ensuring that, you will do the installation in the shortest time possible. It operates on a latch mechanism where you push a button. Your cargo will be protected from weather elements. With all the goodies in this toolbox, I saw it wise to buy it for my colleague as a birthday gift last year and up to now, he still tells me that, it was one of the best gifts he has received in his life. It has an extreme protection lock, retracting lock storage capacity, and tamper resistant. If you are looking for the best toolbox under 1500, then you are better if you purchased Decked pickup truck storage system for Ford F150 6’6’’ bed length. It is a low profile truck bed toolbox system that is compatible with Ford Transit Cargo Vans, Ford F 150, Ford F-350, Ford F 250 and Ford Econoline Vans. It slides out gear, tools, together of the heavy duty drawers which are serving you as the owner maximum utilization of your truck or van bed. It is weatherproof, ergonomic, secure, easy to install and remove. It is perfect for carpenters, painters, handymen, and plumbers because of being secure, easy to access storage bins. If you are an outdoor enthusiast, then it might serve you right, allowing you to carry fishing, team sports gear, hunting or any kind of sports gear that you can imagine. It will get you organized. There are chances that, your truck doesn’t have a canopy or a designated and covered storage place for your tools. Whether you work in a trade or a part-time handyman, your tools are valuable possessions and most likely, your livelihood. 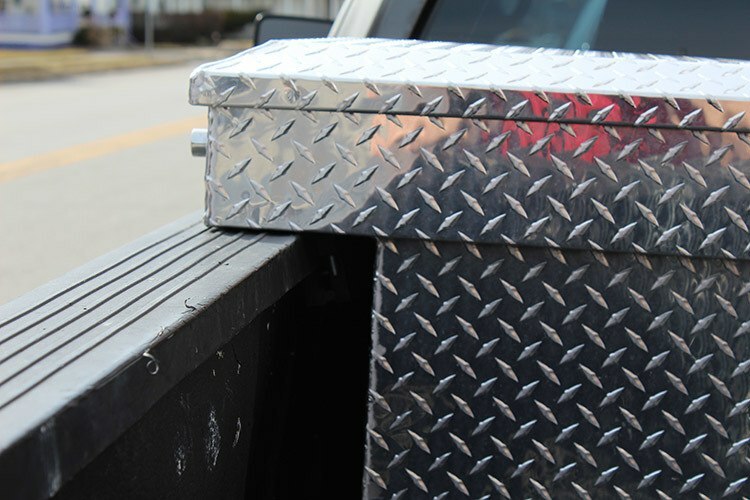 When you use a truck toolbox, it will ensure that your tools are kept safe from theft through the use of secure locks. Many thieves will definitely take to their heels when they realize that you have a lock on your truck bed toolbox. Truck tool boxes are a great way to store groceries, jumper cables, and other emergency supplies and even gear for camping such as a camp stove and tent. The toolboxes for trucks are a versatile addition to your rig. Once you have decided that you want to fix a toolbox on your truck bed, you will have to pick the style you want to mount. The style will dictate how the box sits in your truck and where you can access your tools from, and thus, it is very important to consider where and when you will be using it and what for. Cross bed or crossover toolboxes are the common tool boxes for truck bed you will find on the market. They are named so due to the fact that, they cross over your truck bed from one side to the other, resting on the rails of the bed. In most cases, you will find it has a single lid which normally opens towards the window at the back, but you can as well find those with a double lid which split your box into two halves, opens towards the back window, and lock separately. Those referred to as gull wing crossover toolboxes come with two lids, which open towards the center of the toolbox instead of towards the back window. My father finds this one to be more accessible as he is able to reach over the side and there is no need to get in the bed of the truck. A crossover is a low profile r toolbox comes with a lid that is slimmer and doesn’t block visibility in the window at the back. Since crossover boxes mount on the rail bed, they don’t touch the bed of your truck allowing a space between bed and box for hauling goods like lumber. This model sits right in the bed of your truck and instead of being mounted on the bed rails, it is placed on the floor. They are versatile, have a larger capacity than crossover boxes, but have a drawback due to the mounting style. Since it is not mounted on the bed rails, chest style truck tool boxes are an attractive option to be used in combination with truck canopies and Tonneau covers which are normally mounted on the bed rails. Your truck bed length will be reduced since it sits on the floor. 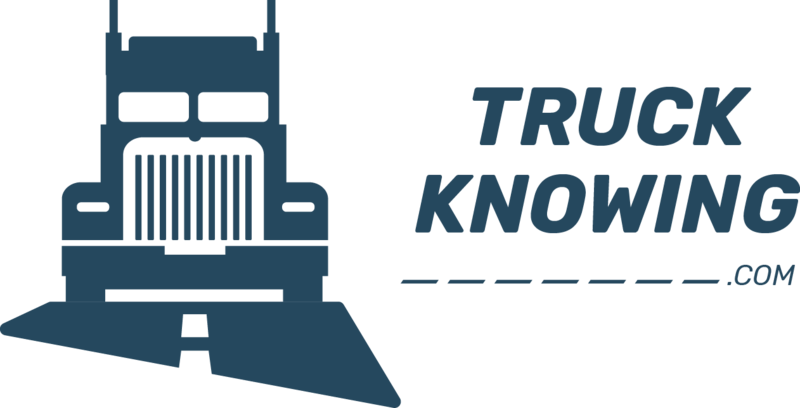 Long box trucks probably will not be phased but there is a likelihood that you will be reducing your ability to transport certain supplies when you install it. You can find longer side mounted tool boxes since they span the length of the bed as compared to its width as it happens in the crossover box making them ideal for longer tools and provide an extra space overall. If you like going in and out of your truck bed throughout the day to pick or switch tools, this could be the best option for you. There will be no need for you to hop in and out of the bed. When you decide to use storage drawers, they will fill the floor of your pickup bed completely, with a roof section that is a flat horizontal, essential for serving as your new loading floor. Sliding drawers are sandwiched between the top and the bottom areas of the assembly of the storage drawer. Even though it reduces the ability to fit bulky items in your bed area, they provide no hindrance to visibility and are convenient to access. They are made in such a way that, it is easy for it to sit on the floor bed of your pickup with a shape which can accept the towing setup of a typical fifth wheel where a trailer hitch is mounted in the bed of the pickup. Even though it can take various shapes, none of it can take the shape of a fifth wheel hitch post. The wheel well boxes are narrow and tall, mounting on the floor of the bed of the pickup, taking much of the space behind the rear wheel well bumps. Some of them are even designed to swing on the hinges so that, you can easily access them from behind. They are designed to fit perfectly in the space between the wheel well and tailgate of the truck. They are relatively small making them ideal when you want to save on space on your truck bed. Under the bed, boxes are common if you use flatbed work trucks as they are mounted under the flatbed. If you go for them, then you will be able to reduce your clearance, but at the same time, keep all the valuable space on your bed clear and free. When shopping for a truck bed toolbox, you will need to consider the different measurements of the truck bed. You will first of all have to measure the distance from the side of the one-bed rail to the other side. This should then correspond to the shorter measurement of the toolbox. Take the outside of the rails measurement to correspond to the larger measurement of the toolbox. It is important to note that, a truck toolbox which is wider than the truck bed is likely to stick out and not be able to perfectly sit on the bed. Other measurements to consider include the truck height and the distance between the bulkhead and wheel wells. The highest point on the floor of the bed to the topmost part of the bed rail should take into account the height of the bed. If your truck bed is shallow, then you will have to avoid larger toolboxes as they are likely not going to fit well. The height should correspond to the height of the toolbox you are considering to buy. If you own a flair side or a step side, you will require to consider narrow boxes. It is also important to factor in the accessibility when choosing your toolbox. If you are always using your truck bed, then I would suggest you go for a crossover toolbox as it will be able to leave enough space to carry other items. If you want to access your tools from the side, then I think a side mount will be best for you. You can also decide to choose a toolbox that is meant for your specific model of the truck. What you are going to carry in your truck bed toolbox is an important consideration. When you are choosing a truck toolbox, it is important to consider the size. Generally, tool boxes are generally labeled fits down-size or fit full size. Full-size trucks are large in size and they include Silverados, Titans, Sierras, and Tundras. Downsize trucks are normally small pickups such as Colorados, Frontiers, Rangers, Tacomas, Rangers, and Canyon. So when you are shopping for one, you will have to consider the various measurements including depth, width, and length. There are some boxes which are asymmetrical meaning, you will have to consider other measurements. You can shop for a box which is tailor-made for different truck models and makes or one that matches the measurements of your truck bed. Price determines which box you will end up buying. The good thing about truck boxes is that they are available in different price ranges in order to fit different budgets. You are free to choose a box depending on when and how you will use it. Some people feel that a minimum box is enough to do the work. So if that is what you are looking for, you will have to choose a minimum single strut box with a single lid. But if you are looking for a box that can act as a great organization in your truck bed, you will have to go for a higher quality box. A high-end box will mean that you use a lot of money while a minimum bare box is cheaper. So this will be determined by your budget. Aluminum is the most common material used to design toolbox. You will find that most of them have a bent sheet aluminum in a pattern of a diamond plate. Aluminum is affordable and at the same time, tougher, and it gives the bed an attractive look. Toolboxes made from aluminum are lightweight, making it have a higher strength-weight ratio than steel. 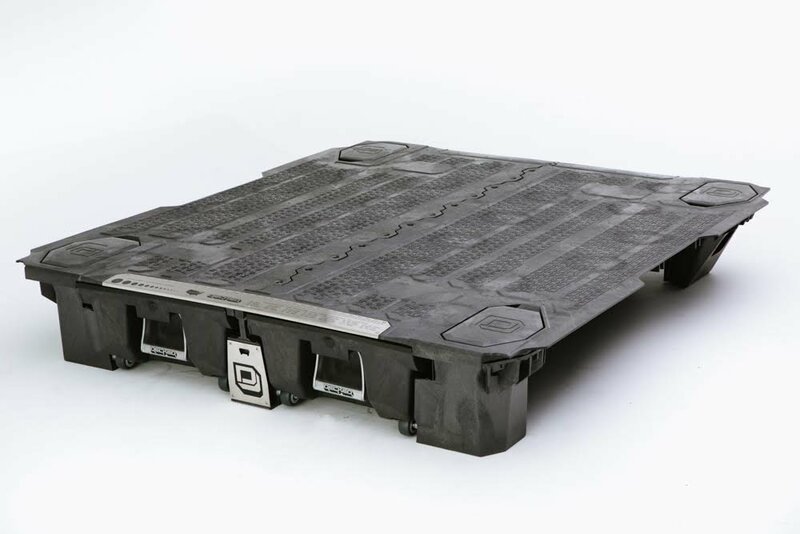 The material is secure and tough without adding any unnecessary weight to your truck bed. For a long time, aluminum stays free from lust. As compared to aluminum, it is a less common material, but more common than steel. If you decide to get a toolbox that is made of stainless steel, are normally tough with rust and corrosion resistance properties of aluminum. That is the reason why you will find that it is expensive, long-lasting, and secure. They are not powder coated and they stay corrosion resistant for long. It can be the best if you want to use it in job sites with lots of chemicals. Even though it is less common, it is a great option for some people. As a material, it is relatively heavy giving it both positivity and negativity. When you decide that this is the material you want your toolbox to be made of, then you should expect to transport more weight at the back of your truck. On the advantage part, as compared to aluminum, it lasts longer and will offer you more ruggedness. For you to keep it from rusting, you will have to apply a powder coated finish which cannot be compromised by scratches, leaving the box prone to corrosion and rust. The finishes of truck tool boxes can either be black or white and you will have an option to choose the best for yourself. I would recommend that, if your truck has black parts such as a black plastic-dip or black tire rims, then a semi-glossy black box will look great. When it comes to the white finish, it can look great on any type of truck bed. The diamond plate aluminum finish of aluminum truck tool boxes are already corrosive resistant and thus, no need for a powder coat. They buff aluminum tool boxes which produce a nice bright shiny finish. For stainless steel boxes, they get a buff finish as there is no need for a powder coat which gives a shinier polished look as compared to aluminum boxes. 2.Is it possible to use a truck tool box in all kinds of vehicles? The answer is also no and I will tell you why. There is no single truck tool box to fit trucks and SUVs. There is no way you can borrow your friend’s toolbox, but at times, there are factors which can make it possible to share. It will depend on the type of vehicle that the box is meant for due to the fact that, most truck tool boxes are vehicle specific and thus, fit particular trucks. So unless your vehicle is the same model as mine, there is no way we can share. It is not possible to use the truck box in all types of vehicles. They are designed to fit in a specific build of vehicles that have an open space at the back meaning SUVs and trucks. There is no way you can put a truck toolbox in a regular car. They are meant to balance on the truck rails of the bed and thus, once you install and bolt it in the back of your truck, there is no way the box will bulge. Even when you are driving on a bumpy road, it will not be possible for it to slide back and forth on the truck bed as it is firmly placed. Installation for a truck tool boxes is very straightforward. If you have decided that you need a truck tool boxes, then it is possible that you know how to mount it. Whatever box you buy is going to come with all the hardware that you require in order to ensure that it is well mounted in your truck. Each model will have a slightly different method of attachment but in general, it is easy to install a crossover toolbox on your bed rail with a J-bolt, a nut, and a washer. The J-bolt reaches up through the bottom of the toolbox floor, then hooks underneath the rail bed. You then just have to take a few quick turns using a ratchet to securely fasten the box. Some truck tool boxes might require small drilling into the side of the bed in order to make them secure. Yes and no. It depends whether it was powder coated black or it came when it was made from the black material. If the latter, then it is very hard for it to fade but if the former, then the powder normally fades and you will need to polish it to get back the shiny finish. If you have a truck, it is necessary to have a toolbox so that you can keep your tools organized. You don’t need to be a contractor in order to justify owning tool boxes for trucks. With some at under $300, you can clear out your cab and carry all your gear in a weather tight toolbox. Truck tool boxes are some of the essential accessories for any truck owner. It will ensure that you don’t lose your tools to theft or rust damaged due to harsh weather conditions. There are several truck tool box options on the market. All you need is to ensure that, you pick the one that meets your needs. You will need to think of the amount of cargo you will need to carry too. If you are always on the road and carrying large cargo all the time, there will be a need for you to go for a larger toolbox. If you always carry small tools, then go for a shallow box. Length and width of your tools also matter a great deal.